"I've worked with some outstanding organizations over the years, but none has offered the personal growth opportunities, no barriers client service philosophy, and 'people first' culture of EPIC," stated Cosgrove. "I'm very excited to help lead EPIC's growth in the Financial Institutions sector, as well as contributing to our national expansion initiatives." 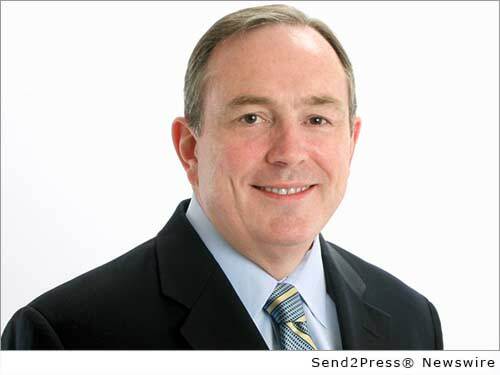 SAN FRANCISCO, Calif., Oct. 13, 2014 (SEND2PRESS NEWSWIRE) — EPIC (Edgewood Partners Insurance Center), a retail property, casualty insurance brokerage and employee benefits consultant, announced today that William P. (Bill) Cosgrove has joined the firm as managing principal and Financial Institutions Practice leader. Cosgrove brings 28 years of insurance industry underwriting, production, marketing, client service, management and executive leadership experience to the firm. A specialist in the insurance and risk management needs of financial services companies – including banks, investment banks, private equity firm, hedge funds, REITs, brokerages, insurance companies, fund complexes, alternative asset managers, investment advisors and financial technology/software companies – Cosgrove will focus on growing EPIC’s business in this sector, building and leading a national Financial Institutions Practice. As one of the nation’s fastest growing private insurance brokerage firms, EPIC has been on an aggressive national growth trajectory, successfully competing against the large, institutional brokers with an entrepreneurial, client-focused business model. Since The Carlyle Group became the firm’s major investment partner in December 2013, EPIC has completed four strategic acquisitions/purchases, adding nearly 250 employees in nine new locations across the country and nearly doubling revenues from roughly $80 million to run rate revenues of almost $160 million. Cosgrove will be based in New York and will report to Derek Thomas, EPIC’s Chief Strategy Officer and Scott Gunnison, Executive Vice President, who are co-leaders of EPIC’s Specialty Practice & Programs Group. Cosgrove also served in director and practice leader positions at Frank Crystal & Company and USI Insurance Holdings, Inc. for six years. Earlier in his career he was Regional Underwriting Manager at ACE USA (formerly CIGNA Corporation), where he was responsible for Specialty Risk Products throughout a sixteen state region on the East Coast. Headquartered in San Francisco, EPIC Insurance Brokers and Consultants has nationwide presence with a depth of industry expertise across key lines of insurance including commercial property and casualty, employee benefits, unique specialty program insurance, and private client services. Since its founding in 2007 EPIC has driven revenue from $5 million to $150 million through both organic growth and strategic acquisitions, and remains a fixture on the insurance industry’s “Best Places to Work” lists. Its strategic partners include private equity firms The Carlyle Group and Stone Point Capital. To learn more, visit http://www.epicbrokers.com/. Original Keywords: EPIC Insurance Brokers and Consultants, managing principal and Financial Institutions Practice leader, risk management Edgewood Partners Insurance Center San Francisco California SAN FRANCISCO, Calif.
REFERENCES: Banking News, EPIC Insurance Brokers and Consultants, managing principal and Financial Institutions Practice leader, risk management Edgewood Partners Insurance Center San Francisco California SAN FRANCISCO, Calif.